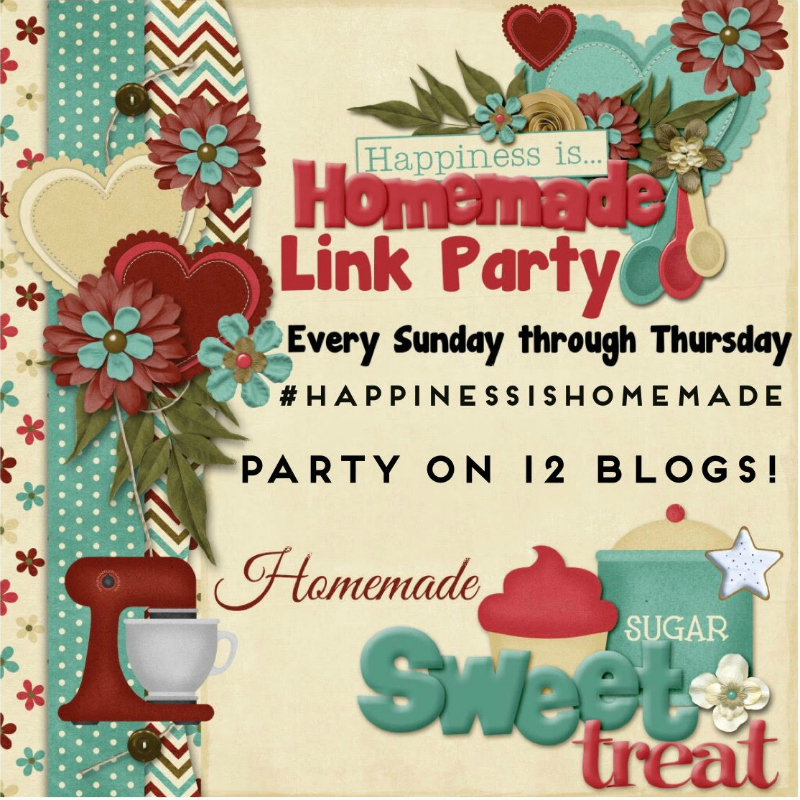 Welcome this this weeks Happiness Is Homemade Link Party. We had so many wonderful posts last week. Check the features below. Can't wait to see what you will be sharing. Cathy is stepping down not just from a host of this party, but from the blogging world for a bit. Life happens to all of us and for Cathy, it means focusing on family and new chapters in her life. As of Sunday, January 31 she will blog her last post and shortly after that her blog will shut down. She tells me that she'll definitely miss blogging and all of us but will remain active on her social media venues. So, if you have not yet connected with her, this is the time! I've listed her links below. This wasn't an easy decision for her but it's one that needed to be made. I consider her the "mama" of the many link parties I have co-hosted or participated in as she is always "there" as a host in some fashion. 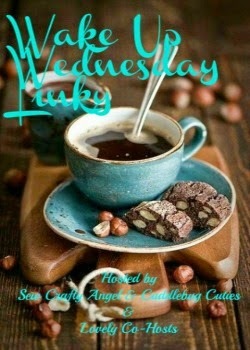 It's "Over the Hump Day" and that means it is time for Wake Up Wednesday Linky Party. Hope your week is off to a good start adn that you will spend a little time with us. Stop by and link up. With Valentine's Day only a few weeks away, I have seen so many wonderful Valentine treats being shared. Well, this is NOT one of those. I worked on a towel rack for my bathroom - Valentine's Day style. Time again for Turn It Up Tuesday. I look forward each week to see all of your creations and you never disappoint. Share with us and then find someone else to show some "Lovin". Welcome to Turn It Up Tuesday #123! Thank you for stopping by and linking up with us this week, and every week, as we have some fun linking up and getting to know each other! We had quite an amazing week last week, and it's because of all of you! I hope you are having a wonderful weekend and staying warm. Winter is really upon us this weekend. So grap a cup of coffee, tea or other hot drink and join the party. I can't wait to see what you have been creating. Welcome to another Turn It Up Tuesday. Last week was fabulous with tons of great posts. Check all the features below and then link up your new creations. So happy to have you join us. Welcome to the 122nd week of Turn It Up Tuesday! Thank you for stopping by and linking up with us this week, and every week, as we have some fun linking up and getting to know each other! We had quite an amazing week last week, and it's because of all of you! Unfortunately, we don't have a sponsor this month. But if you're interested in being our sponsor for the remainder of January, please sign up below! The holidays are over and we have finished baking all of those Christmas cookies - right. Well, maybe. What if you wanted a holiday cookie? I am not sure what constitutes a "holiday" cookie. I often make chocolate chip cookies at Christmas but don't think of them as a Christmas cookie. Or is it that we make lots of cookies at the holidays and call them all "holiday cookies". I found this recipe in a little pamphlet called Everyday Food from Martha Stewart. It is a little old (result of organizing) and wondered why I have never made them before. I needed something for my husband to take to work and these were it. 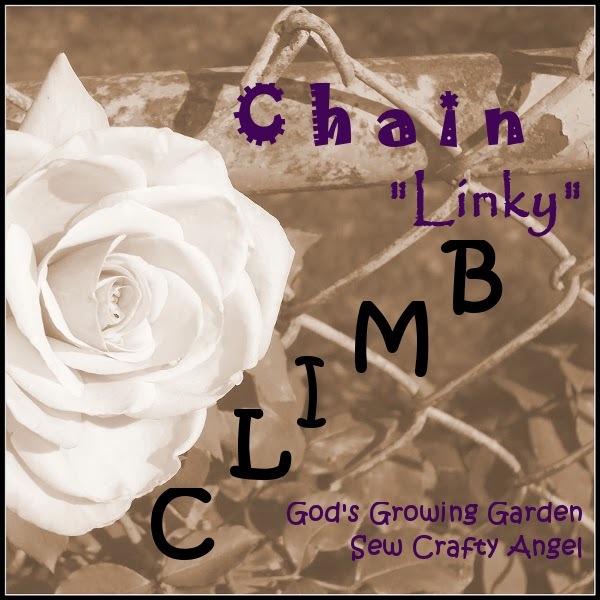 The Chain Linky CLIMB is looking for some fabulous bloggers to join our team. Please read the rest of the post and see if you might be interested in joining us. It is a great opportunity to connect with other bloggers. Welcome to another Happiness IS Homemade Party . Great posts last week with so wonderful features, it was hard to pick only 4. Check out all of the features below. So excited to have you join us again this week and sharing your new ideas with us. Can you believe January is half over? I could use a few extra days to keep organizing my house. I've been de-cluttering my kitchen which is nearly as hard as cleaning out the craft closet. That ONE item you NEVER use but MAY - do you keep it? Or donate it? Here it is 2016 and our blogger friends are going strong with their creativity. You can tell by all of the great features below and those are but a few of the fabulous posts from last week. Can't wait to see what you will share this week. Welcome to the 121st week of Turn It Up Tuesday - the 2nd Turn It Up Tuesday party of 2016! We started off the New Year with a bang...and we hope that this week is even better! Thank you for stopping by and linking up with us this week, and every week, as we have some fun linking up and getting to know each other! We had quite an amazing week last week, and it's because of all of you! Victoria chose Top 10 Reasons Mommy Needs Her Glass of Wine from Fun Money Mom. "Cute, fun post that is so true. I could probably think of an additional ten more reasons to add to this list. I had a lot of fun reading this post though." Kate also chose this post. "This post was laugh-out-loud funny! As a mom who is running around all the time and who also likes to enjoy the occasional glass of wine, I could definitely relate to this post!" Kimberly also chose this post. "I love Lisa's posts. This one spoke right to me because I can relate. And I drink from the box too!" This post received the most views this month. Victoria chose Just Do It [Should Goals Be Shared?] from Healthy Helper. "This provided an interesting viewpoint on goals. I have to admit I do agree with the logic though – goals should just be done and not shared until they are accomplished/close to being accomplished." Kate chose 5 Tips for Saving Money on Baby Items from Mom's Messy Miracles. "I'm in the middle of writing a top money saving tips for new moms post, so I definitely found this one useful! Lots of great tips here!" Bev chose Key Lime Napoleons from A Sprinkle of This and That. "Love key limes so this is a must for me. The lady fingers look so light and luscious. I can't wait to make these." Elaine also chose this post. "I love key lime, especially this time of year. It makes me hopefully for Spring in a yummy way." Bev chose DIY Stacked Wood Lamp: Knock Out Knock Offs No. 1 from Designer Trapped in a Lawyer's Body. "Love this lamp and a great knock-off of the original." Tina also chose this post. "Amazing wood lamp diy. Looks so nice and rustic.Thanks so much for sharing your creativity with us." Kam chose The Ultimate Savory Breakfast Roundup from Healthy Helper. "I am always looking for healthy breakfast ideas, and I found some really creative breakfasts, from breads and quiches to oats and pizza, from this roundup." Kam chose 15 Things I Don’t Buy at the Grocery Store (and why) from Snippets of Inspiration. "I loved reading about the healthy choices we can make in our everyday, while saving money in the process." Elaine chose Crockpot Spinach Artichoke Dip from Crystal & Co. "I love Spinach artichoke dip and if it is made in a crockpot I love it even more." Celeste chose DIY Rustic Calendar Stand from Lemon Thistle. "This calendar stand is so easy to make and even includes a beautifully designed 2016 calendar printable to go with it!" Celeste chose 25 Gift Wrap Organization Ideas from The Scrap Shoppe Blog. "My gift wrap supplies are always a mess after the holidays! This post includes some really creative ways to organize your gift wrap that I never would have thought of!" Chris chose Lemony Kale Quinoa Salad from A Dish of Daily Life. "Healthy salad is perfect to start year off healthy." Chris chose Italian Style Buddha Bowl from Frugal Foodie Mama. "Healthy option to start the new year." Kimberly chose Fiery Peppermint Cocktail from Sunny Sweet Days. "I was so intrigued by this drink that I just had to learn more about it. Then I just had to pin it!" Silvie chose Skinny Alfredo with Chicken and Broccoli from Embellishments. "I have always wanted a lighter version of chicken alfredo that I would like. I have tried many but the flavor is never right. After trying out this recipe I know my search has stopped. This recipe is absolutely delicious!" Silvie chose Chicken Tortilla Soup from Lou Lou Girls. "One of my favorite soups is Chicken Tortilla Soup so I just had to try out this recipe. This is a delicious and flavor packed soup recipe! Thanks for sharing." Stacey chose Avoid "Hanger" with a Fitness and Food Planner from Growing Up Gabel. "What an amazing planner! I am working on all of these items during the coming year and I can see how wonderfully helpful this planner could make those tasks! Thank you so much for sharing!" Stacey chose Yummy Potato Patties Recipe from My Silly Little Gang. "Potatoes are a big menu item, for our family, and these look absolutely delicious! thank you so much for sharing!" Tiffany chose Peanut Butter Cookies with Chocolate from Summer Scraps. "So peanut butter is a weakness of mine anyway and Summer has found a way to add a bit of chocolate into the mix of things! Perfection :)"
Tina chose Bring Luck To Your Home! DIY Lucky Horseshoe Decor from Our Peaceful Planet. "Wonderful horseshoes, love them all especially the burlap. Great ideas, thanks for sharing your creativity with us." Heather chose Grapefruit and Spinach Salad with Glazed Mahi Mahi from Delightful E Made. "We eat a lot of fish, and this is an interesting and colorful combo with mahi mahi. We're going to try this next week." Heather chose Shrimp Ceviche from A Sprinkle of This and That. "My husband loves ceviche, and this sounds like the perfect combo - lemon, orange and lime. I'll make this as a special treat for him." Natasha chose 5 Ways to Make Money Online - While You're at Work from Retired by 40! "Great post! These are some great ways to make money on the side." Natasha chose More Tips for Dealing with a Night-time Cough from Gym Craft Laundry. "I have spent many nights nursing a bad cough with my son. These are definitely some great tips to help them get through the night and get sleep for us both." Link up your posts, make some friends, and earn the chance to be featured or become the Best of the Best on Turn It Up Tuesday! We will feature the favorite posts each week! **Disclaimer: Adding your link to this link party gives permission to Epic Mommy Adventures, along with co-hosts, guest hosts, and participants of Turn It Up Tuesday, to share your posts and pictures via social media and as features, roundups, etc. with an explicit link back to the original source. ** Interested in reading all of our favorite posts on Turn It Up Tuesdays - past or present? Or do want to know if your post was featured before we go live next week? Follow Natasha Peter's board Featured on Turn It Up Tuesdays! on Pinterest.